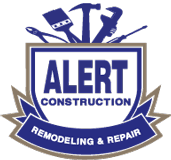 Ed Regensburg, of Alert Construction, joined Fox 8 recently to talk about the importance of deck safety and choosing a reputable contractor to build your deck. Recently, a deck collapsed at a beach home in Ocean Isle, North Carolina, sending more than twenty people to the hospital. It’s important to know that your deck is safe while you have guests and family over, as many will spend time out there during these beautiful summer months.